Calphalon showcases its legacy as a culinary innovator, creating cookware and kitchenware from its signature hard-anodized aluminum to stainless steel, copper, cast iron, and nonstick cookware to cutlery, bakeware, tools, gadgets, and kitchen electrics. 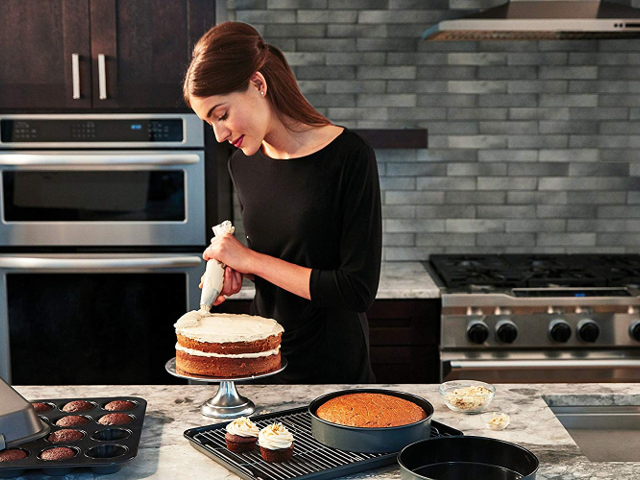 Once only available to professional restaurateurs, Calphalon's signature baking and cooking accessories have become a household staple for their quality and commitment to excellence. Calphalon is committed to providing products that help inspire home cooks to create dishes that express their culinary passion.